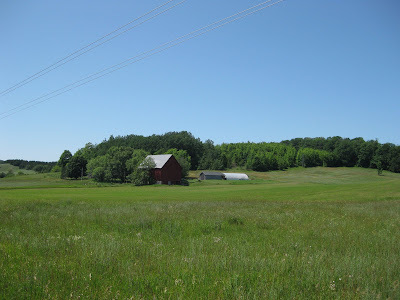 Summer in Northern Michigan is all about the cherries. 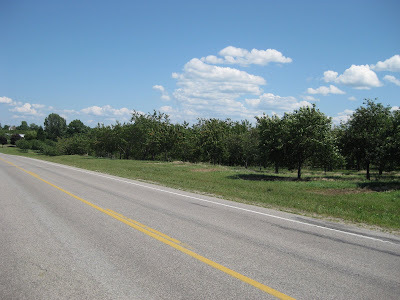 Case in point: we arrived at Traverse City’s Cherry Capital Airport on July 4th, the first day of the National Cherry Festival. We’re talking cherry pie eating contests, cherry pit spitting contests, “cherry d’vine” buffets, cherry pie make-and-bakes and more, as well as plenty of good old-fashioned Americana, including air shows, big wheel races, toddler trots and sandcastle contests. A whopping 500,000 people come to the grassy shores of Lake Michigan for this weeklong event, held every summer since 1926. Naturally, we had to go to The Cherry Hut, the legendary restaurant that a friend told me was a must-see. 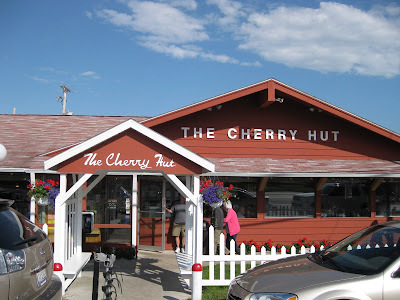 Located southwest of Traverse City in the little lakefront town of Beulah, The Cherry Hut is exactly what I pictured – only better. 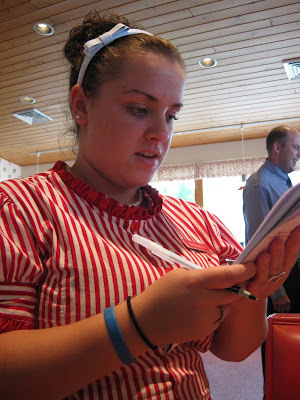 It’s the epitome of unintentional kitsch, with its cherry wallpaper, red-and-white striped waitress uniforms and cherry-shaped menus. And of course, it’s home to the ultimate cherry pie. 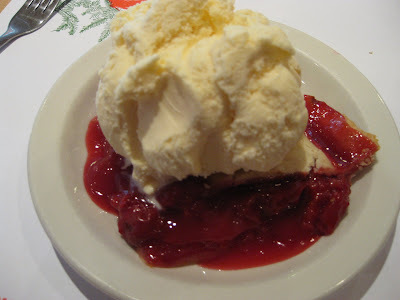 I kept the meal light – a cherry and walnut salad, which I split with my boyfriend – so that I could gorge on this signature item, which came with a gigantic mound of vanilla ice cream. Meanwhile, our friend ordered the drowned turkey sandwich, which is the equivalent of Thanksgiving between two slices of bread, while my boyfriend got the cherry brownie sundae, which is the dessert of choice if cherry pie is too sweet for you. This is a complaint I hear from him and others, although as the possessor of the world’s biggest sweet tooth, I have no such gripe. I found the whole thing perfectly balanced thanks to the ice cream, which, by the way, I couldn’t finish. There was still almost a full scoop left after the pie was gone. 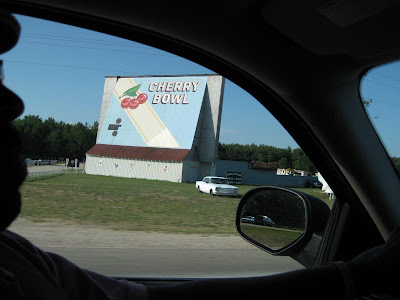 But our cherry spree wasn’t over. The next day, we discovered the Cherry Soda at Dawson and Steven’s Classic 50’s Diner (aka The Bottle Cap Museum) in Grayling, an hour east of Traverse City. And no, I don’t mean cherry-flavored soda pop, as they’d say here. 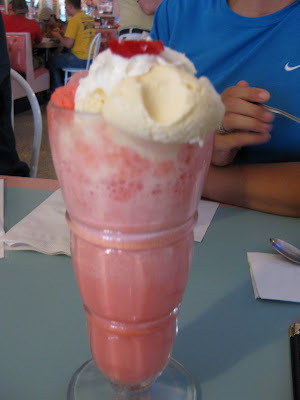 This was dessert in a glass, a true fountain soda with cherry syrup, fountain water, ice cream and whipped cream. It was pink and frothy, and it went down awfully quick. So we, ahem, ordered a second.